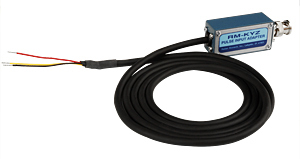 The RD-3X Analyzing Standard registers both forward and reverse energy flow and provides voltage, current, power and energy (Active, Reactive, Apparent) information. 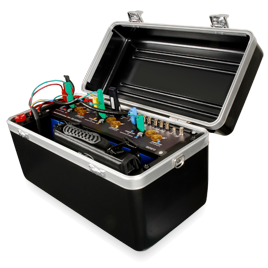 The RD-3X Analyzing Standard is the ultimate instrument for on-site accuracy testing of electricity meters, performing power quality analysis, testing current transformers (CT), and site wiring confirmation. The Analyzing Standard is designed to work with customer load or a stand-alone current source. 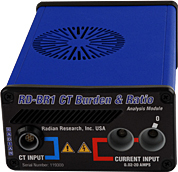 The Radian Three-Phase Analyzing Standard is packaged in a robust case and features the performance of the Radian Research RD-3X family of reference standards. The Analyzing Standard provides unsurpassed accuracy, functionality, and ease of operation. Radian’s Analyzing Standard is so versatile that the functionality is like having three instruments in one. 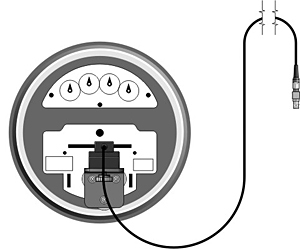 The standard is the ultimate instrument for on-site accuracy testing of electricity meters, performing power quality analysis, testing current transformers (CT), and site wiring confirmation. 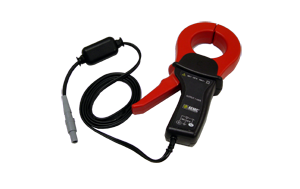 The Analyzing Standard is designed to work with customer load or a stand-alone current source. 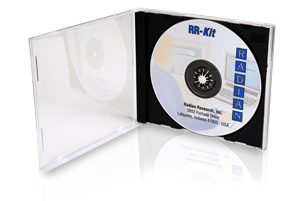 The RD-3X Analyzing Standard is shipped from the factory with Radian’s MobileSuite software pre-loaded. MobileSuite allows the user to easily select the configuration, testing or analysis routine to be implemented. The Analyzing Standard is versatile, accurate and user friendly this makes them the perfect choice for metering professionals. 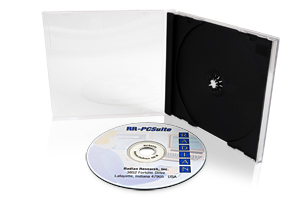 Unless stated specifications apply to the Radian Model RD-30, RD-31 and RD33. All accuracy specifications are guaranteed and include traceable accuracy to calibration standards used, 95% confidence level. Specifications are for 365 day calibration interval. 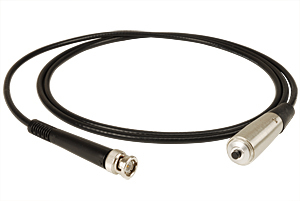 BNC Gate rate: 200 nS pulse width minimum, maximum 20 Hz repetition rate. The second digit of the first two digits and the last three digits determine the full RD-3X model number. The second digit of the first two digits designates the accuracy class. The first digit of the last three digits determines the measurement functions; the second digit of the last three digits determines if the instrument has a built-in computer with touch screen display, power analysis, and analog sense capability; the third of the last three digits determines the current input configuration. For Example, a RD-30-233 Analyzing Standard is a 0.04% accuracy class instrument with capability to measure Whrs, Volts, Amps, VARhrs, VAhrs, Qhrs, Watts, VARs, VA, Phase Angle, Power Factor, and Frequency, has the built-in computer and power analysis capability, has 120A current inputs, and is portable.